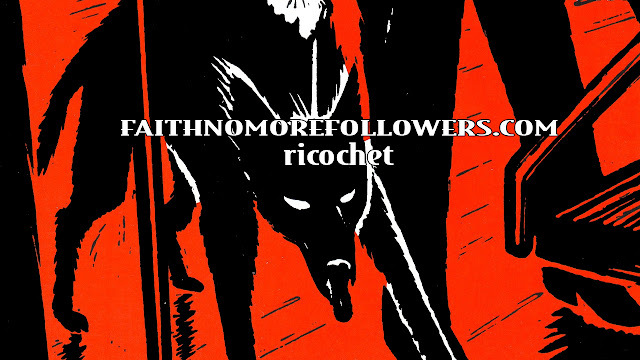 Faith No More released Ricochet on May 1st 1995 as the second single from King For A Day....Fool For A Lifetime. The song reached number 27 in the UK charts, 58 in Australia. Referred to by the band as Nirvana on set-lists it has been questioned whether the song is about the death of Kurt Cobain. But band members say the only reason for this is that the song was written on the day of his death. "What can I say? (Laughs). What can I say? I'm sorry? Bad things happen, y'know? I'm sure it wasn't as great as everyone thinks it was. "What wasn't? "His suicide, I'm sure wasn't such a glamorous event." Ran into Patton and Menta at a restaurant before a show on this tour. I asked Patton for his autograph and then for some reason said to Menta, "I don't know who you are, but you can sign too." He wrote "Tom."